Book A Tour For CHALE WOTE 2018! We’re still rolling out treats from that big, two-day December party called the SABOLAI RADIO Music Festival. In this post, Accra-based photographer Kobe Subramaniam shares his best snaps with us. CHALE WOTE 2019 : CALL FOR ARTISTS. Poetics of Material Memory : Percy Nii Nortey points to liberatory models of being. 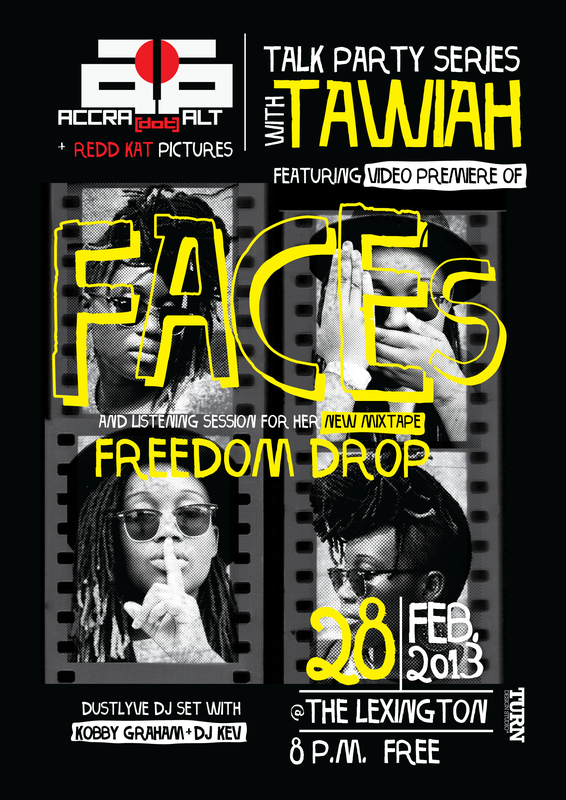 Come out to the TALK PARTY SERIES tonite as we celebrate TAWIAH’s new mixtape “FREEDOM DROP” with a listening session…. ACCRA [dot] ALT is an independent cultural network that promotes the alternative work of Ghanaian artists and emerging creatives across the globe. 3 months ago by accradotaltradio #Tamale , Northern #Ghana . Yellow Yellow [ local slang for Tuk Tuk] . Exciting times.